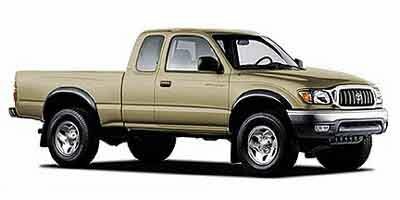 Description Come see this 2002 Toyota Tacoma . Its transmission and Gas I4 2.7L/165 engine will keep you going. This Toyota Tacoma features the following options: Tilt-out rear quarter windows, Skid plates-inc: front suspension, transfer case, fuel tank, Side-door impact beams, Sculpted door trim w/cloth inserts, dual armrests, map pockets, Removable tailgate, Rear storage compartments, Rear leaf-spring suspension w/staggered gas-filled shock absorbers, Rear child restraint system, Pwr ventilated front disc/rear drum brakes w/rear load-sensing proportioning valve, and Pwr rack & pinion steering.